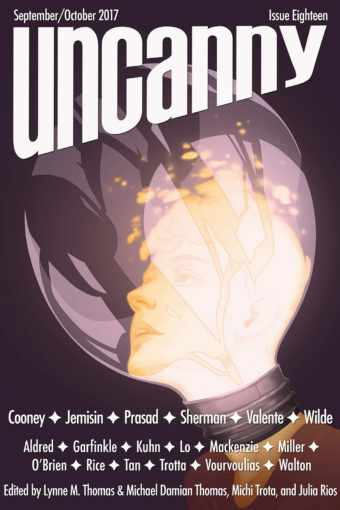 Welcome to Episode 24A of the Hugo & Parsec Award-winning Uncanny Magazine Podcast! This podcast was produced by Erika Ensign and Steven Schapansky (The Uncanny Podcats). Music created by Null Device and used with their permission. Linda D. Addison is the award-winning author of four collections, including How To Recognize A Demon Has Become Your Friend, and the first African-American recipient of the HWA Bram Stoker Award®. In 2018 she received the HWA Lifetime Achievement Award. 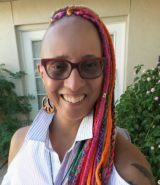 She has published over 300 poems, stories and articles and is one of the editors of Sycorax’s Daughters (Cedar Grove Publishing), an anthology of horror fiction/poetry by African-American women. 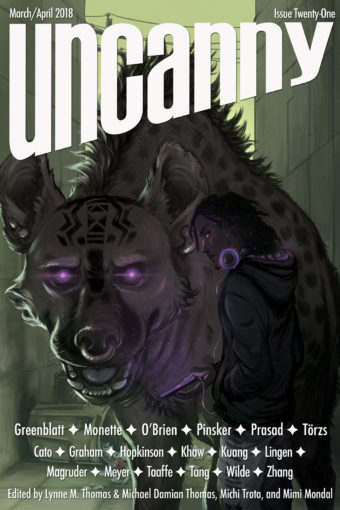 Catch her work in anthologies Dark Voices (Lycan Valley Press), and Cosmic Underground (Cedar Grove Publishing). Her site: lindaaddisonpoet.com. Senaa Ahmad lives in Toronto, where she fails to improve her Arabic and tries not to kill all the house plants. 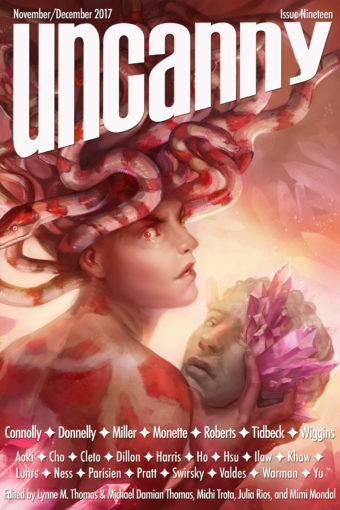 Her short fiction also appears in Strange Horizons and Augur Magazine, and is forthcoming from Lightspeed and Nightmare Magazines. A Clarion 2018 alum, she has received the generous support of the Octavia Butler Scholarship, the Toronto Arts Council, and the Ontario Arts Council. You can find her, sort of, at senaa-ahmad.com. 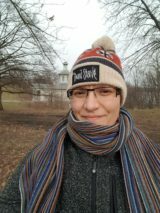 Day Al-Mohamed is author of the novel Baba Ali and the Clockwork Djinn: A Steampunk Faerie Tale, editor of the anthology, Trust & Treachery, and a regular host on Idobi Radio’s Geek Girl Riot. Her stories have appeared in Fireside Fiction, Apex Magazine, and GrayHaven Comics. She is a Docs in Progress Fellowship alumna and a graduate of the VONA/Voices Writing Workshop. In addition to fiction, she also works in comics and film. Day’s short story, “The Lesser Evil” was nominated for the WSFA Small Press Award for Best Short Fiction of 2015. However, she is most proud of being invited to teach a workshop on storytelling at the White House in February 2016. A disability policy executive with more than fifteen years of experience, she presents often on the representation of disability in media, most recently for the National Bar Association, at New York Comic Con, and at SXSW. She lives in Washington DC with her wife, N.R. Brown. You can find Day online at DayAlMohamed.com and on Twitter @DayAlMohamed. 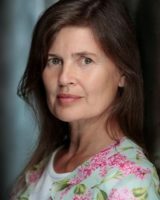 Sophie Aldred has been working as a professional actress, singer, and director for the last 35 years in theatre, TV, film and audio. She is perhaps best known as the 7th Doctor Who’s companion, Ace, who beat up a Dalek with a baseball bat. She has also presented a huge variety of programmes on TV and radio, and provides many voices for dramas, audiobooks, and animations including the highly acclaimed Tree Fu Tom for CBeebies, Peter Rabbit, the US version on Bob the Builder, and Dennis the Menace. Sophie lives in Hertfordshire with her husband and two sons. K. C. Alexander is the author of Necrotech—a transhumanist sci-fi called “a speed freak rush” by NYT bestseller Richard Kadrey and “a violent thrillride” by award-nominated Stephen Blackmoore. 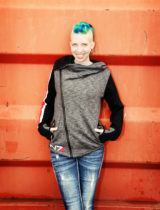 She co-wrote Mass Effect: Andromeda: Nexus Uprising with NYT bestseller Jason M. Hough, Bioware’s first novelization for Mass Effect: Andromeda. Other credits consist of short stories to Fireside magazine and a contribution to Geeky Giving. Specialties include voice-driven prose, imperfect characters, and reckless profanity. Also, creative ways to murder the deserving—in fiction. Probably. She champions mental health awareness and prefers animals to people. And she writes anything she wants to. 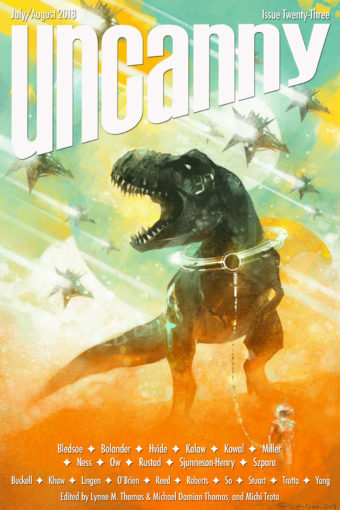 William Alexander writes fantasy, science fiction, and other unrealisms for young readers. Honors include the National Book Award, the Eleanor Cameron Award, two Junior Library Guild Selections, a Mythopoetic Award finalist, an International Latino Book Award finalist, and the Earphones Award for audiobook narration. He studied theater and folklore at Oberlin College, English at the University of Vermont, and creative writing at the Clarion workshop. He now teaches at the Vermont College of Fine Arts program in Writing for Children and Young Adults. Find him online at goblinsecrets.com. 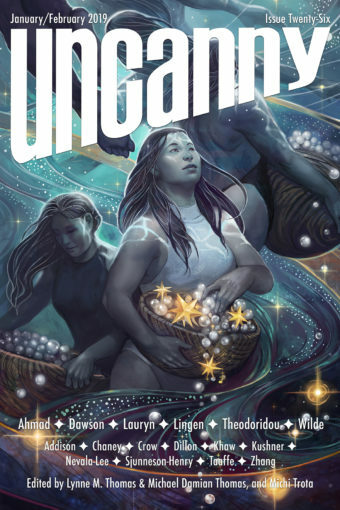 Kathryn Allan is editor of the academic collection, Disability in Science Fiction: Representations of Technology as Cure, co-editor (with Djibril al-Ayad) of Accessing the Future (a disability-themed SF anthology), and the inaugural recipient of the Le Guin Feminist Science Fiction Fellowship. 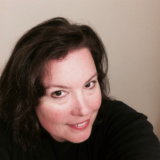 Her creative writing has appeared in Wordgathering: A Journal of Disability Poetry and Literature, Remixt Magazine, and Strange Horizons. 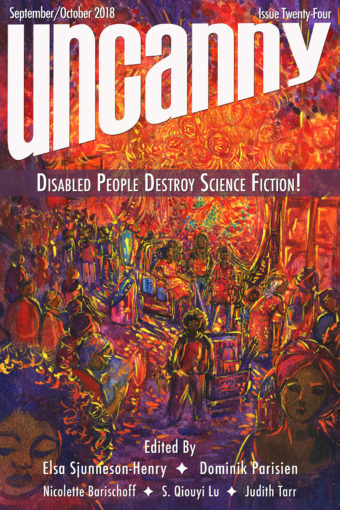 She is currently working on a book that explores the connections between disability studies theory and science fiction. Kathryn lives in Hamilton, Ontario. Laurel Amberdine was raised by cats in the suburbs of Chicago. She’s good at naps, begging for food, and turning ordinary objects into toys. She read a novel a day for over a decade, until she married someone who occasionally wanted to talk to her, putting an end to that streak. She has published poetry and short fiction, but loves novels best of all. 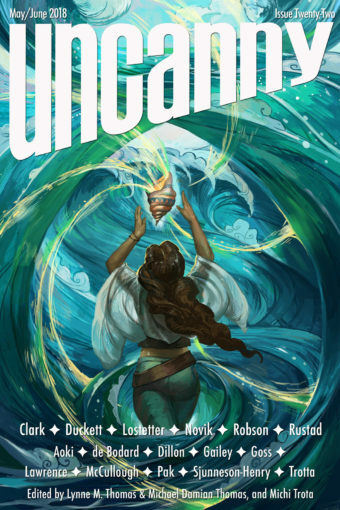 Her YA fantasy novel Luminator is forthcoming from Reuts Publishing. Charlie Jane Anders is the author of All the Birds in the Sky, a novel coming in early 2016 from Tor Books. 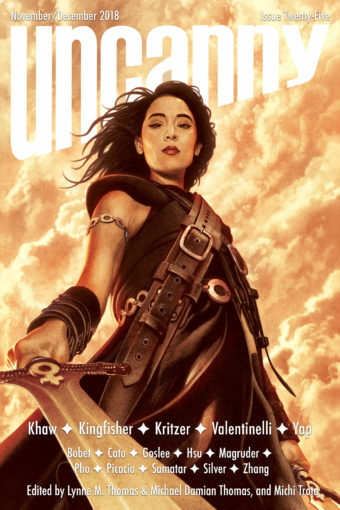 She is the Editor–in–Chief of io9.com and the organizer of the Writers With Drinks reading series. 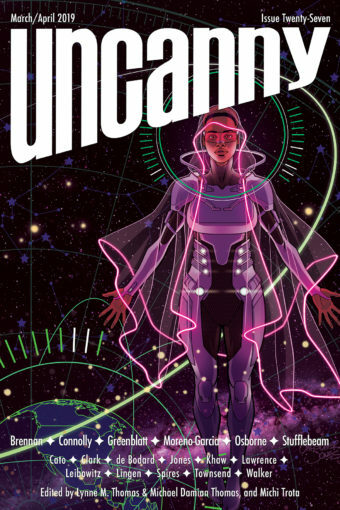 Her stories have appeared in Asimov’s Science Fiction, The Magazine of Fantasy & Science Fiction, Tor.com, Lightspeed, Tin House, ZYZZYVA, and several anthologies. 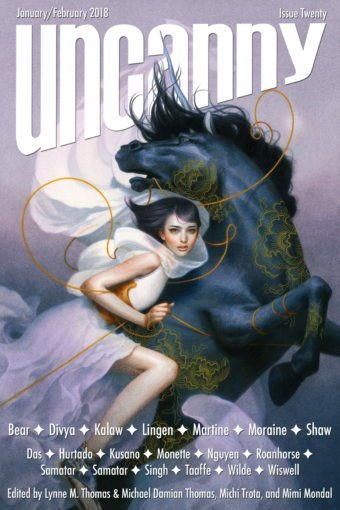 Her novelette “Six Months, Three Days” won a Hugo award. Leslie is a fiction writer, poet, and artist. In her day job she manages marketing for a healthcare company. She has an unhealthy obsession with lattes and rescuing puppies. Most of her free time is spent removing unsafe things from their mouths. Her collection of poetry, An Inheritance of Stone, was released from Alliteration Ink, and her novel, The Cricket Prophecies, was released by Post Mortem Press. She has two books of writing prompts, Inklings and 100 Prompts for Science Fiction Writers from Sterling Publishing. Leslie graduated from Ohio University with a masters in poetry. Her work was nominated for a Pushcart and a Rhysling Award. Her collection of poetry was nominated for an Elgin Award.